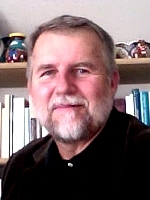 Bob is a retired marketing entrepreneur and video producer, producing videos for and about missionaries. 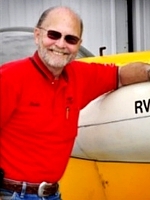 Bob is a long-time EAA member and past President of EAAChapter 1328. He has built his own RV-9A, and is the author of the book Broken Wings,The Rise and Fall of the Greatest Air Armada. In 2010 Bob founded Eagle's Nest to promote aircraft construction skills to young people, with the idea of instilling leadership, teamwork, craftsmanship, and pride during the process. Bob is married and has one son and lives in rural Southern Indiana. It a pleasure to meet you and to personally welcome you to the most exciting, innovative, and student-inspiring program in public education today - Eagle's Nest Projects. I'm a third generation Houstonian, began my career in 1960 working part-time in the family business, continued to work part-time until graduating high school in 1963, then moved to full-time, got married, started a family, purchased the family business (Industrial Uniform Rental & Sales) and operated it until I retired in 2009. There are no academic credentials after my name, but my life and career experiences have earned me the esteemed title; "Jack of all trades-Master of none". In short, I have dedicated the years I have remaining to the Lord's work and to promoting the Eagle's Nest public education model. I encourage you to visit an Eagle's Nest Project and experience first-hand what Eagle's Nest is all about. It's truly amazing! Although he knows little about airplanes and even has a hard time changing the oil in his car, John knows a promising youth program when he sees one! So when Bob Kelly asked John to join Eagles Nest as "Chaplain," John said, "Count me in." John has been the Senior Minister at New Hope Christian Church in Columbus, Indiana for 21 years. He is currently in the process of wrapping up his Doctor of Ministry Degree. 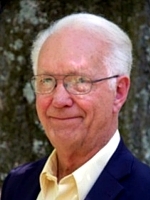 John is married to his college sweetheart, has two daughters, a wonderful son-in-law, and two grandchildren.